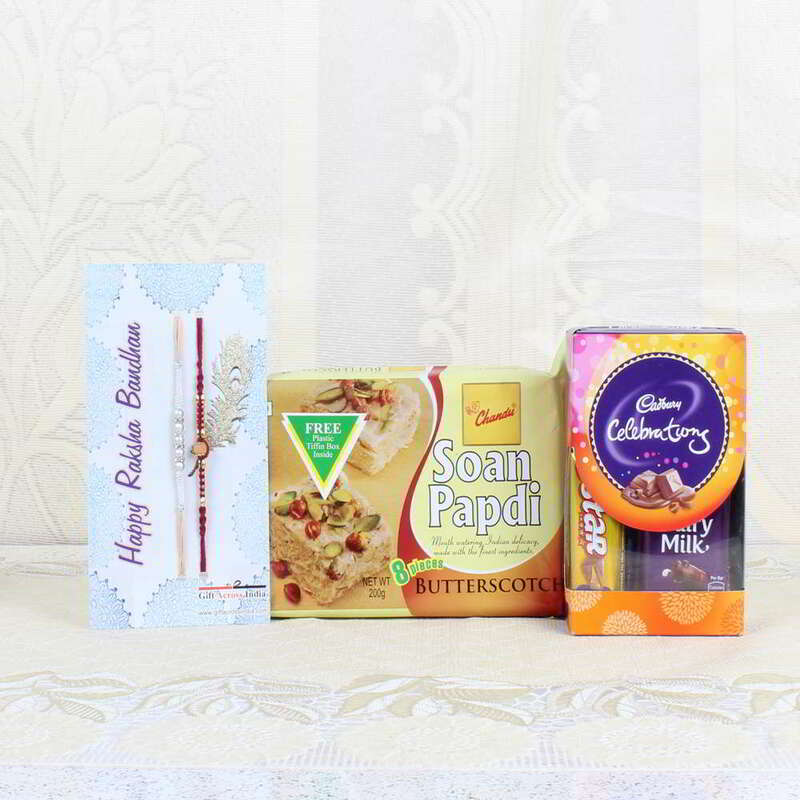 Product Consists: Chandu Halwai Soan Papdi Butter Scotch Flavor Pack (Weight: 200 Gms) and Cadbury Celebrations Chocolate Pack (Weight: 121 Gms) with Pair of Rakhis. 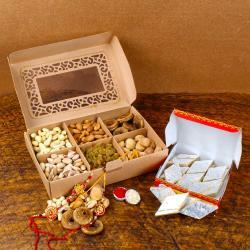 If you are far from your brother on this Raksha Bandhan then Giftacrossindia.com helps you to give a magical surprise to your adorable brother with this hamper of sweets and chocolates with rakhi. 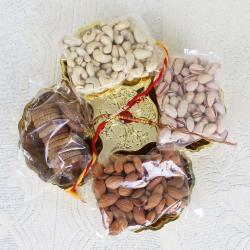 This Rakhi hamper is sure to delight your brother and make him feel loved. 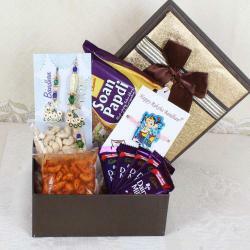 When you want to impress your dear brother this festive season, this wonderful gift combo of rakhi and sweets with chocolates is undoubtedly the perfect selection choice. 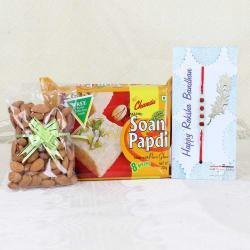 Product Includes: Gift Box of Pistachio Nut (Weight: 100 Gms) Almond (Weight: 100 Gms) along with Rakhi.